We're happy to now offer this online program on a generosity-based system. If you benefit from this, please remember that we depend on the generosity of students like you to support our publishing efforts. In addition to the opportunities for donations provided by the shop, please consider the FPMT Education Fund. Following your purchase of this online course, you will receive an email with a link to a webpage to download a PDF document that contains the enrollment key for the course and instructions on how to access the course on the FPMT Online Learning Center. Buddhism in a Nutshell is an FPMT introductory course that provides an overview of Tibetan Buddhist philosophy and practice.It is suitable for people encountering Buddhism for the first time, as well as for people who have heard or read some Buddhist teachings but would like a more structured approach to understanding the path to enlightenment as taught by Shakyamuni Buddha.It consists of five sessions that cover topics including the life of Shakyamuni Buddha,the four noble truths, and the three principal aspects of the path to enlightenment—renunciation, bodhichitta, and the right view of emptiness.The course also provides a brief presentation of meditation and five guided meditations suitable for beginners. 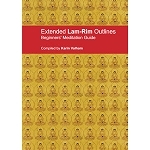 The course book,Buddhism in a Nutshell: Essentials for Practice and Study,includes teachings byLama Zopa Rinpoche and Lama Thubten Yeshe.The course is taught by Ven. Amy Miller, a senior American teacher of Tibetan Buddhism known for her accessible teaching style. This program is presented as a series of five sessions. Each session consists of teachings by Ven. Amy Miller available in both MP3 and written formats, each approximately one and a half hours in length. Each of these sessions includes a short guided meditation, for a total of five guided meditations. Ven. Amy’s teachings are complemented by and elaborated upon by the teachings of Lama Yeshe, Lama Zopa Rinpoche, and Ven. Amy herself found in the book Buddhism in a Nutshell: Essentials for Practice and Study. 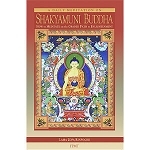 The book also includes short meditation instructions to encourage meditation on the various topics covered in the book. Each session of teachings concludes with some points for reflection that are intended to encourage a personal reflection and analysis of the topics taught. The required reading for this course is the book Buddhism in a Nutshell: Essentials for Practice and Study by Lama Thubten Yeshe, Lama Zopa Rinpoche, and Ven. Amy Miller. 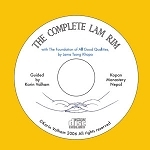 This 246 page book comes with an MP3 disc containing eleven hours of teachings by Ven. Amy Miller. However, since these MP3 files are the same audio files that are provided with this online course, this book is made available with the course materials both online and in PDF format and only needs to be purchased separately if you prefer to have a hard copy. Buddhism in a Nutshell can be done either before or after the introductory course Buddhist Meditation 101, in which Buddhist meditation is explored in more detail. However, if you are new to both Buddhism and meditation it is recommended to begin with Buddhist Meditation 101 and then do Buddhism in a Nutshell. Note: The entire course was revised in 2018 to provide the option of either reading and listening to it online or to download all the audio and text files and use them offline.